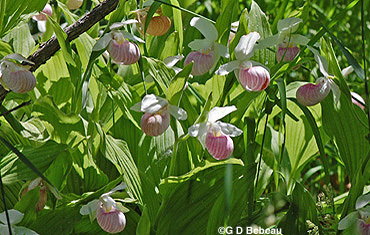 The Showy-lady’s-slipper: To have missed its flowering season in the garden seems almost to lose part of summer. Former Curator Martha Crone. 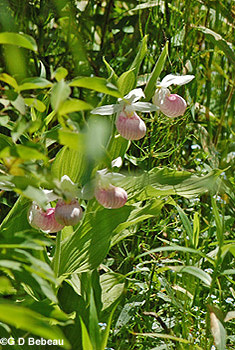 A selection of photos of blooms on the Showy Lady's-slipper. 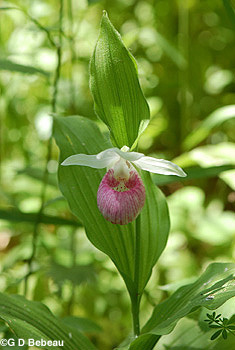 Bloom date is most always in the first half of June, usually centered around the beginning of the second week. 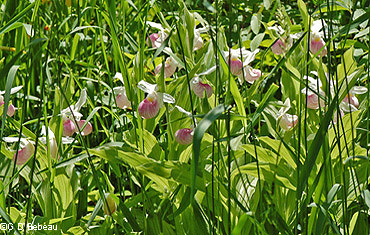 Most other Lady Slippers bloom in May "except the Showy --- which waits until the middle of June to hold the stage alone. To have missed its flowering season in the Garden seems almost to lose part of summer"; (Martha Crone). Eloise Butler reported her latest bloom date - around June 18 in 1930 but then Martha Crone reported June 21 in 1936. 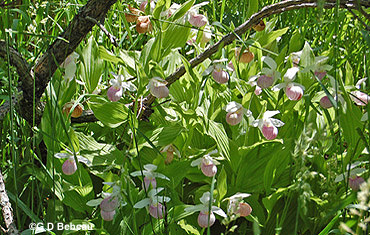 Former Gardener Ken Avery reported the earliest bloom date- May 24th. Click on any small image for a larger photo. 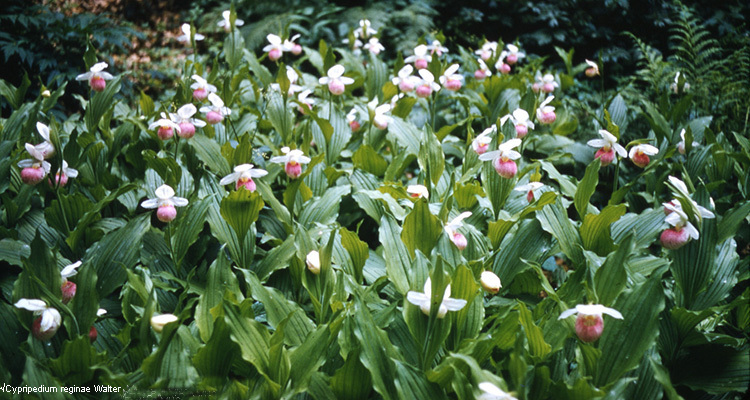 Below: An historic photo of Showy Lady's-slippers in the Garden on June 10, 1955. From a Kodachrome taken by Martha Crone. 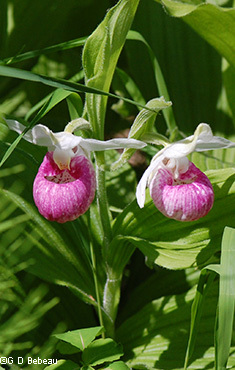 Illustrated article about several Showy Lady's-slipper plant rescues.